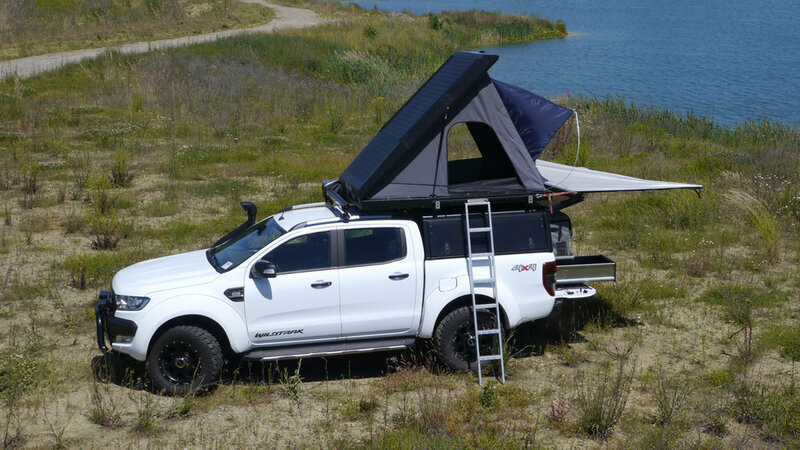 The new, third generation Expedition 3 Rooftop Tent is one of the best hard-shell tents on the market. 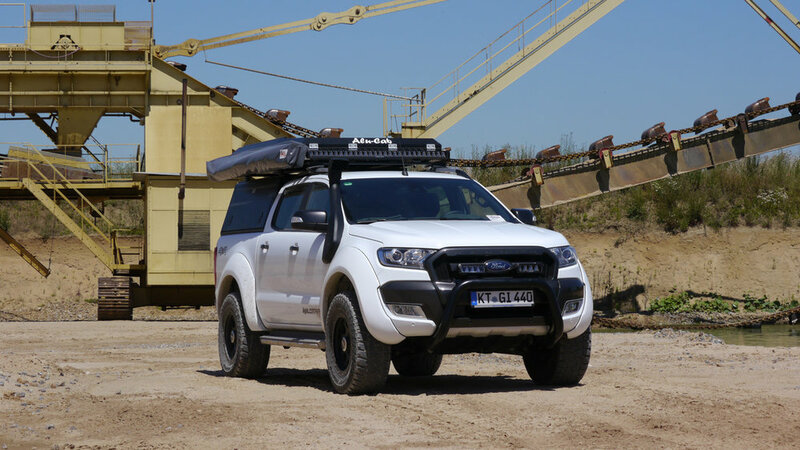 Made entirely of aluminium, it carries the heaviest load and is assembled very quickly. 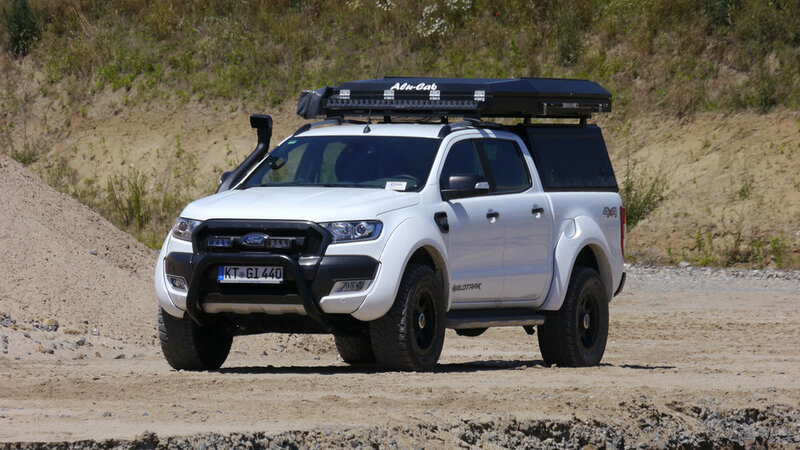 The newest version is slightly taller than past generations, and has a sleeker look with angled sides at the front. 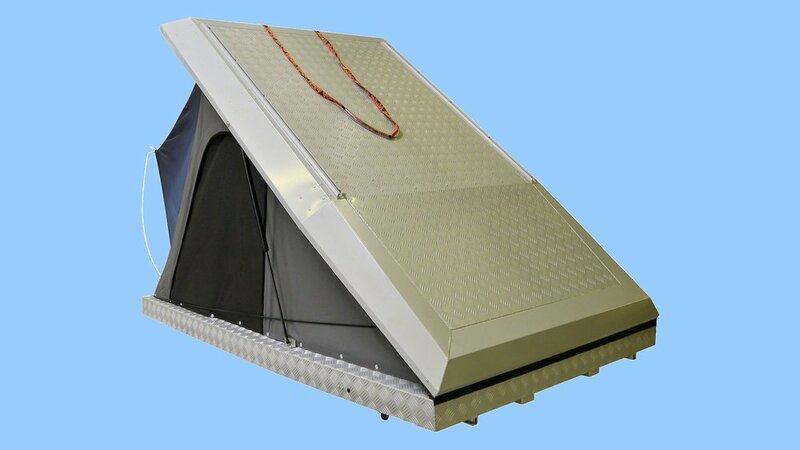 It is much more elegant compared to other Aluminium tents. 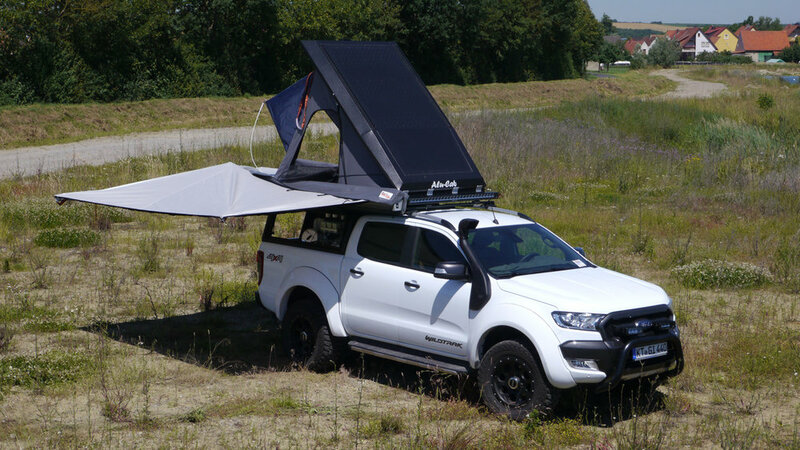 Its new shape also makes it more aerodynamic and more wind resistant than previous generations. This improves the ability to drive at higher speeds, and reduces wind noise and fuel consumption. 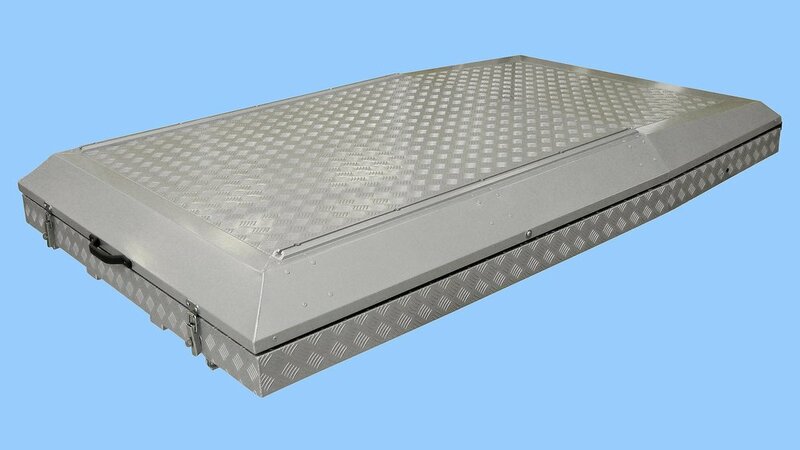 The already stable Aluminium substructures are reinforced with four longitudinal beams. Thus reducing distortion and eliminating possibility of fractures. 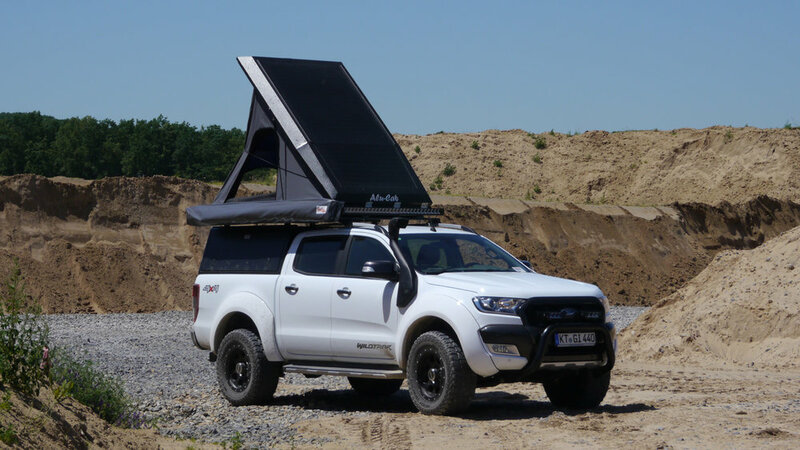 The roof is reinforced by two built-in cross profiles and can be used to transport cargo, to install a solar panel or use as a look-out point. 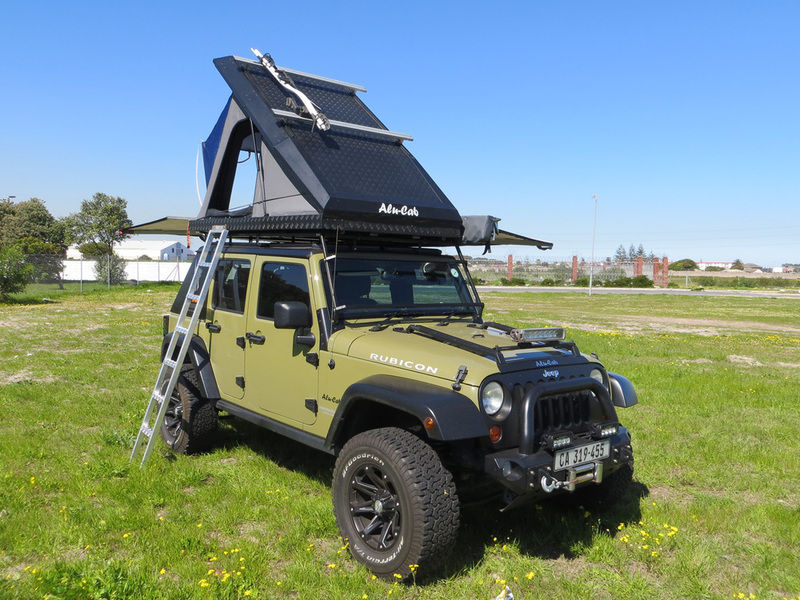 An elastic band pulls the Rooftop Tent inwards to close it, which also prevents the material from getting jammed between the shells or gas-pressure springs. 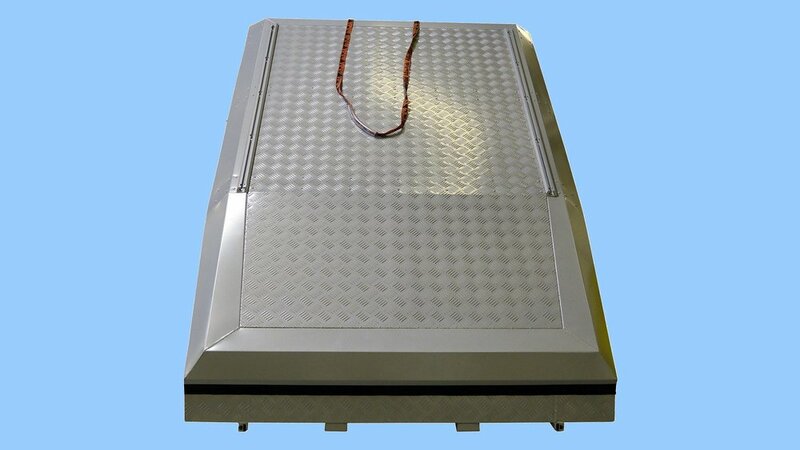 Because these are also connected on the outside, there is no restriction on the mattress, no clamping of the material or bedding when closing, and condensation at the gas-pressure springs is not problem. If necessary, the tent can be secured against unauthorised opening by one or two padlocks. The floor and the roof are both insulated with closed-cell polyethylene foam. This provides good protection against cold and heat. 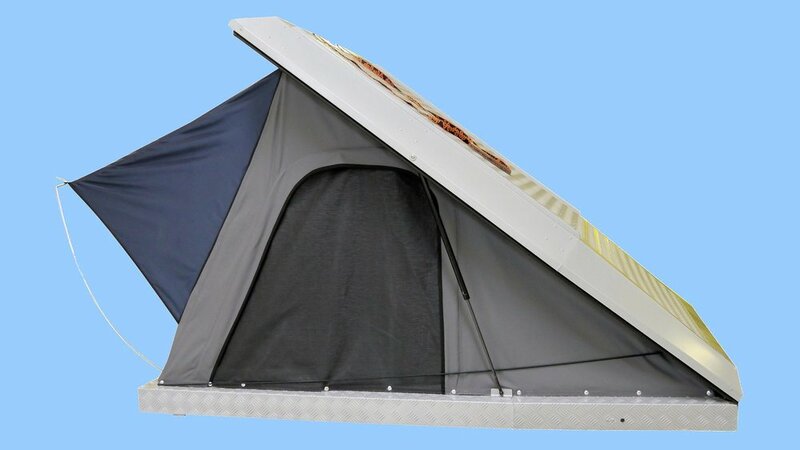 This increases comfort and reduces condensation in the tent. 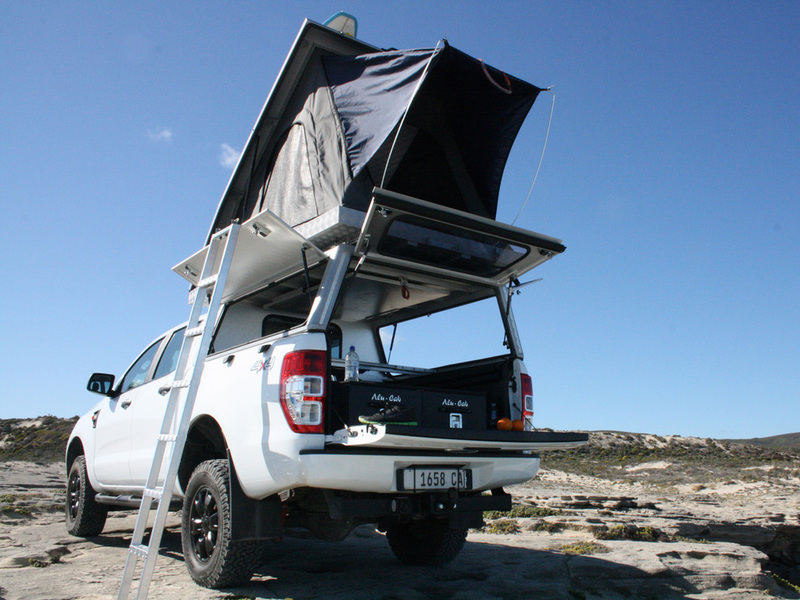 Additionally, the Rooftop Tent is covered with a multi-layered, stitched fabric. 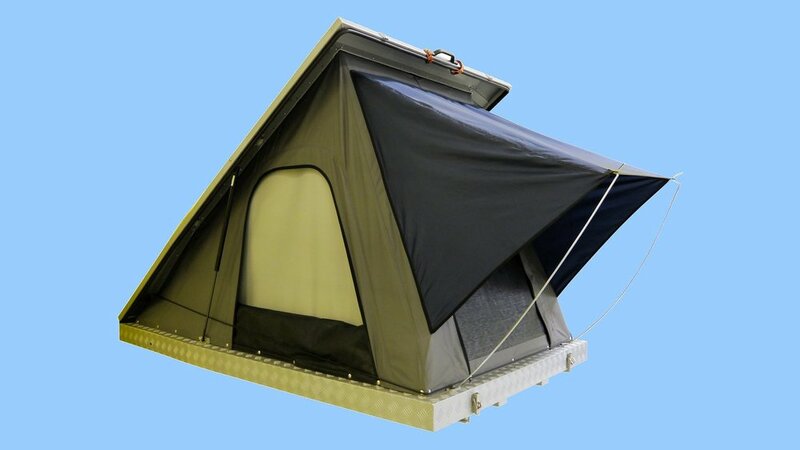 The 400g/m² tent is waterproof and UV-resistant. The rip-stop canvas stops cuts from further tearing. All seams are reinforced and waterproofed. 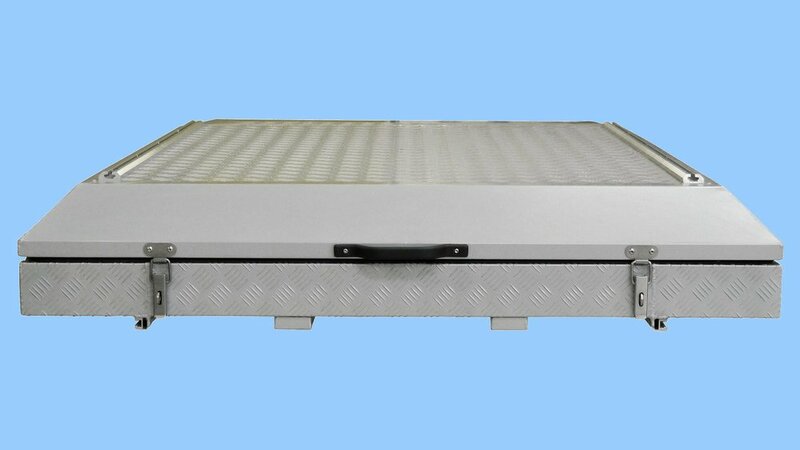 For a more comfortable sleep, a 75mm thick, high-density foam mattress is provided. The cover can be easily detached by a zipper. The roof has several little pockets for storing smaller items. Two permanently installed LED reading lights with flexible necks provide ample lighting. 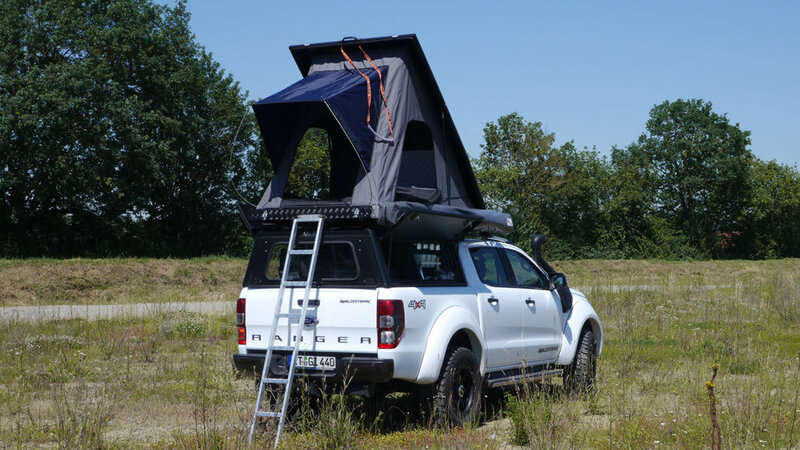 Both outer longitudinal profiles on the lower side of the tent come with cargo rails on the outer sides. These are used to mount the tent, and can also be used to attach accessories. 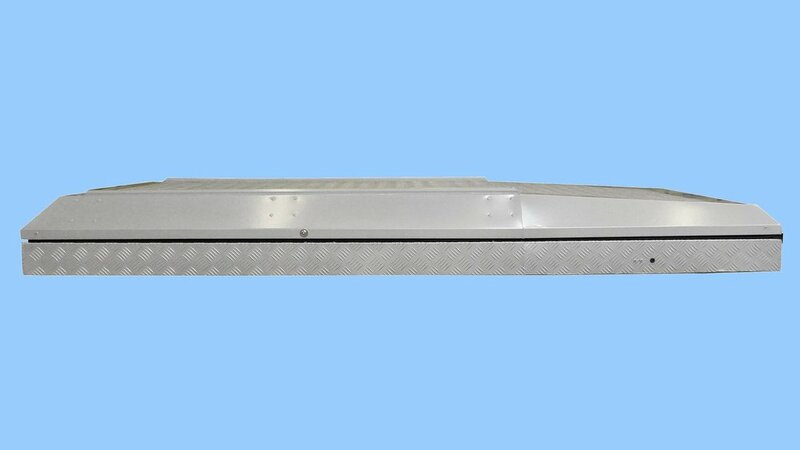 Two flat, Aluminium beams with nut slots are also mounted on the tent shell. 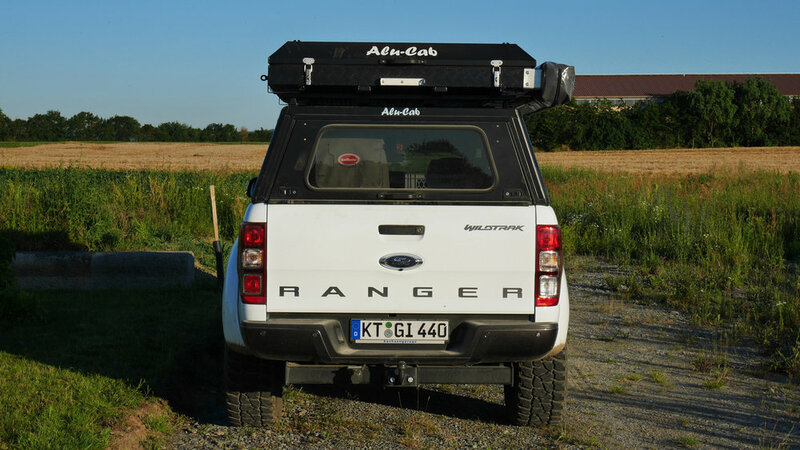 Alu-Cab Roof Racks (or any other accessory) can easily be attached to them. 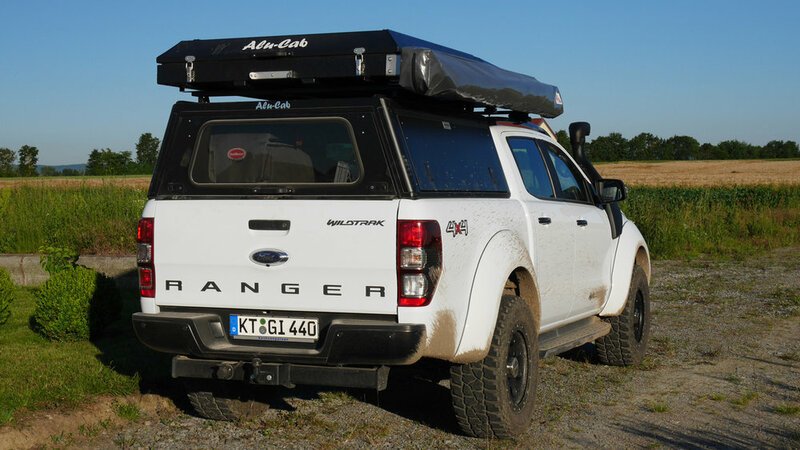 Standard M8 hexagonal bolts (DIN 933) can be inserted into the Alu-Cab specific C-rail profiles on the underside of the tent, flat-head screws with square neck (DIN 603) fit into the C-rails on the sides and on the roof. This makes it very easy to use as no special holding plates or sliding blocks are required and in connection with a lock nut also very reliable. 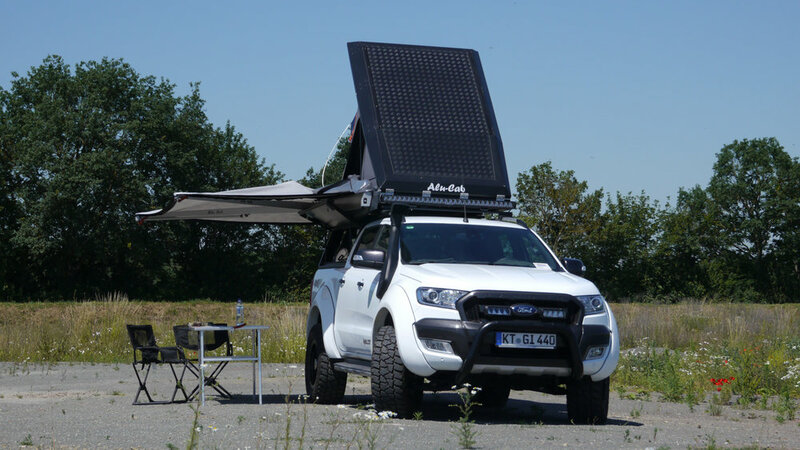 Drilling through the Aluminium shell while mounting the accessories (and the tent itself) is easy. 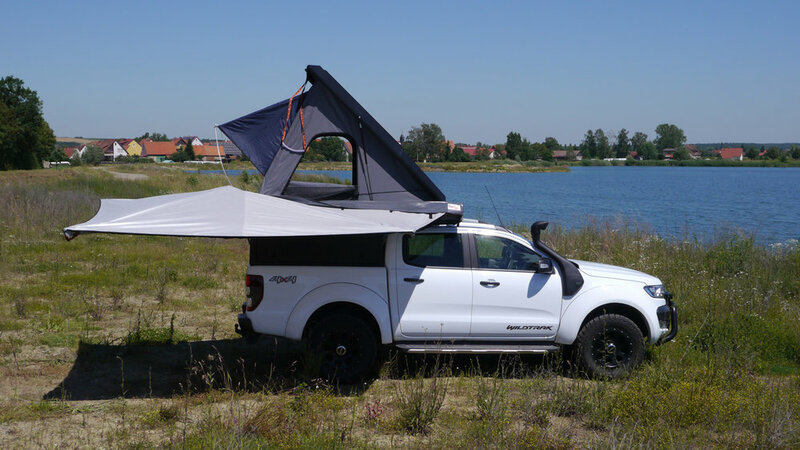 This would be impossible to do with a Fibreglass tent because they fracture so easily. 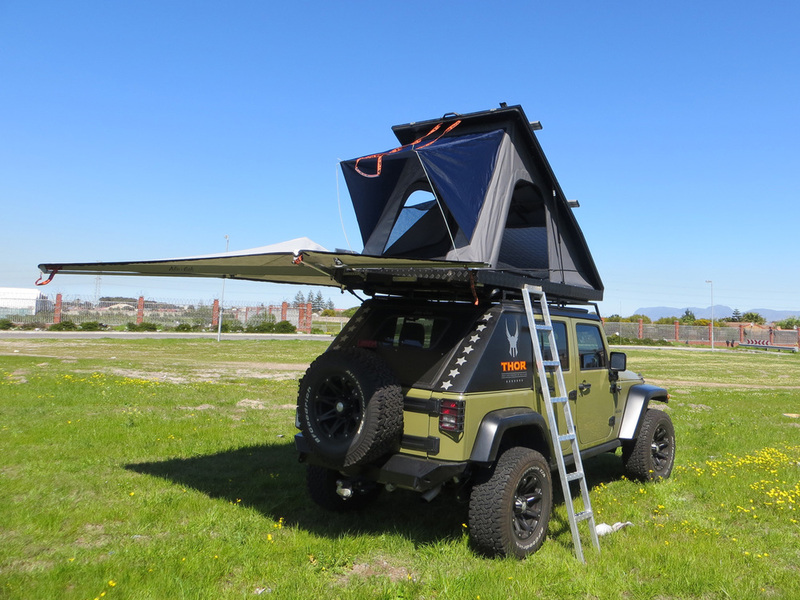 Accessories can be attached to the two cross struts in the roof lining. 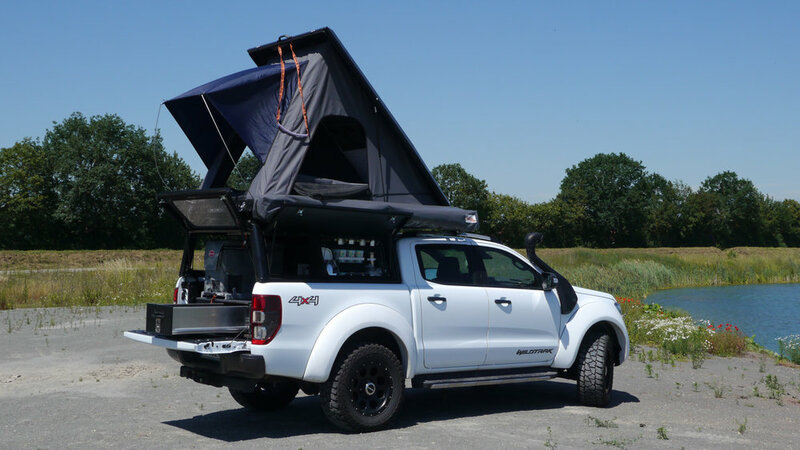 The tent is 2.3m long and 1.4m wide. Closed, it is 210mm high in the front and 250mm in the back. The inner dimensions of the tent are 2.1 x 1.3m. The height at the back is 1.45m. The weight of the tent (including the mattress) is about 78kg. 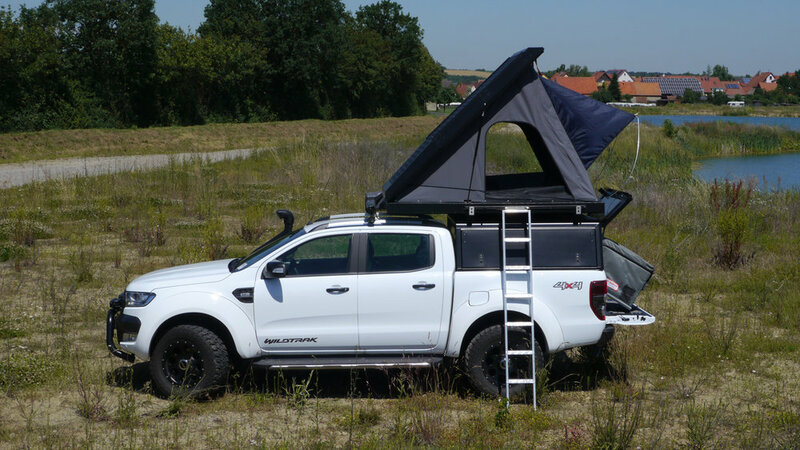 The Rooftop Tent is available in standard silver-grey and black. On special order also available in any RAL colour. 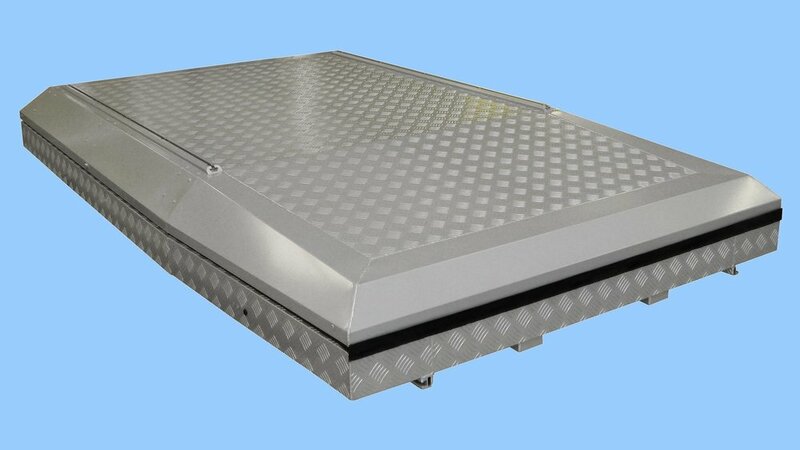 For mounting on the roof, light Aluminium loading bars with special stainless steel feet are available for screwing into the roof cargo rails. The loading bars are also provided with nut slots for the insertion of hex head screws with a square head.